I hate it when newspapers try to be witty and play a pun on names that fall flat on their face. This headline appeared in today’s edition of The Standard (screen capture from the online version). 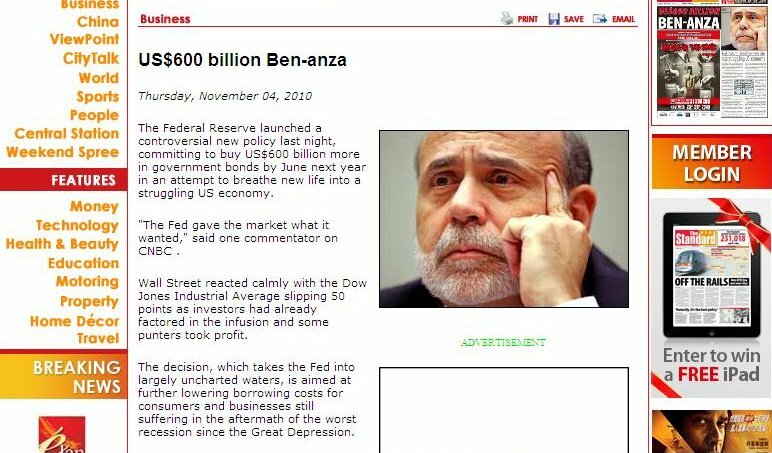 Why can’t they write something like “Fed commits US$600 billion”, which is straightforward and doesn’t make one cringe. Why do these headlines sound so negative?